The shelter closed for a day after an influx of pets that were rescued from a hoarding case. 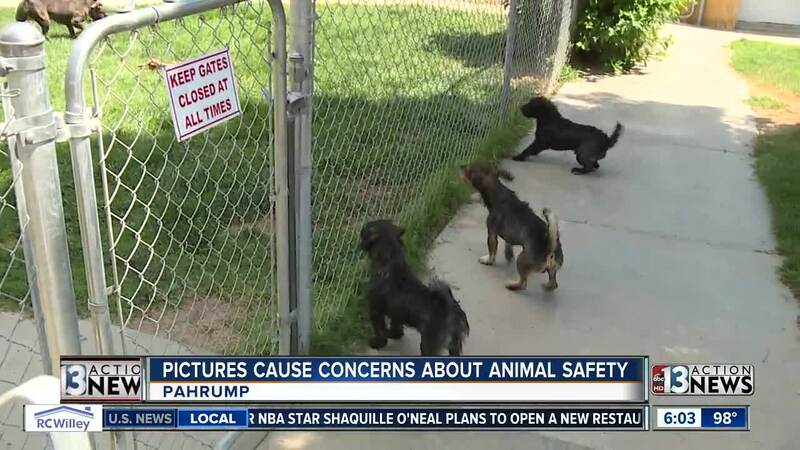 Animal advocates in Pahrump are concerned after pictures surfaced on social media showing puppies being kept in dirty conditions. It's just one of the issues they claim has been a problem since the Desert Haven Animal Society named a new president. On July 6, the shelter was stretched to capacity when they had to take in more than 30 pets rescued from an animal hoarding case. The shelter closed the next day, prompting concern in the community. "I want the dogs and animals, the voiceless animals to be taken care of," says animal advocate Jason Mann. Vickie Garcia, who was fired from the front desk position at the shelter, says when she worked there they'd always stay open when a massive influx of rescue animals was brought in. We took their concerns to the shelter. The president, Ellen Arntz, tells us contrary to reports, the shelter is back open. We saw the closed sign still up, but she says they forgot to flip it back open. She also says the pictures on social media were taken before she became president of the shelter, and they are being used misleadingly. She calls it "sour grapes" from former employees who were fired, and says the damage from the social media posts are hurting the shelter's reputation in the community. Arntz admits they are at capacity but are doing the best they can. They say they have adequate food and vaccines. Arntz wasn't able to show us the back part of the shelter where the rescued dogs are housed because they're in protective custody. She says they're working to help fix the crowding by spreading the word about adoption, and hoping more people will stop in.